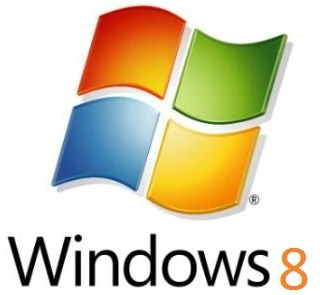 At a special press conference held at the Consumer Electronics Show (CES 2011) in Vegas, Microsoft today showed off Windows 8 running on ARM processors. 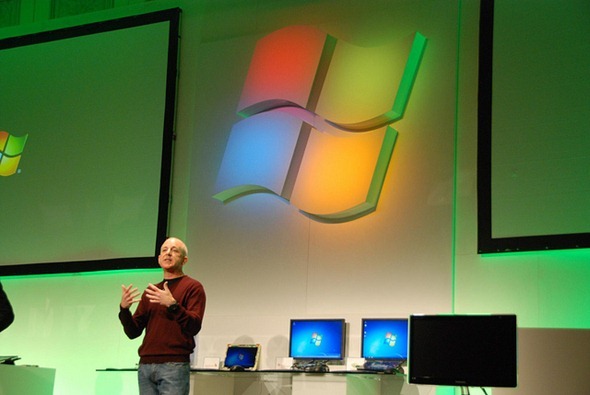 President of Windows and Windows Live Division, Steven Sinofsky, demonstrated an early build of Windows 8 running on both System-on-a-chip (SoC) platforms from NVIDIA, Qualcomm and Texas Instruments on ARM, and as well as x86. Happy New Year everyone! At CES 2011 in Las Vegas, we hosted a press conference announcing that the next version of Windows will support System on a Chip architectures from Intel, AMD, and ARM. We announced that the next version of Windows will support System on a Chip (SoC) architectures including ARM-based systems from partners NVIDIA, Qualcomm, and Texas Instruments. On the x86 architecture, Intel and AMD continue their work on low-power SoC designs that fully support Windows, including support for x86 applications. SoC architectures will fuel significant innovation across the hardware spectrum when coupled with the depth and breadth of the Windows platform. We are making this announcement now so that our ecosystem can start working together to enable the widest possible range of devices, from tablets on up, to ship with the next version of Windows. More detail about this exciting news is available in our press release and this Q&A with Windows & Windows Live president Steven Sinofsky. LAS VEGAS — Jan. 5, 2011 — Microsoft Corp. today announced at 2011 International CES that the next version of Windows will support System on a Chip (SoC) architectures, including ARM-based systems from partners NVIDIA Corp., Qualcomm Inc. and Texas Instruments Inc. On the x86 architecture, Intel Corporation and AMD continue their work on low-power SoC designs that fully support Windows, including support for native x86 applications. SoC architectures will fuel significant innovation across the hardware spectrum when coupled with the depth and breadth of the Windows platform. At today’s announcement, Microsoft demonstrated the next version of Windows running on new SoC platforms from Intel running on x86 architecture and from NVIDIA, Qualcomm and Texas Instruments on ARM architecture. The technology demonstration included Windows client support across a range of scenarios, such as hardware-accelerated graphics and media playback, hardware-accelerated Web browsing with the latest Microsoft Internet Explorer, USB device support, printing and other features customers have come to expect from their computing experience. Microsoft Office running natively on ARM also was shown as a demonstration of the full depth and breadth of Windows platform capabilities on ARM architecture. Windows will continue its industry-leading support across the widest possible set of devices, delivering the breadth and choice that customers demand. Intel and AMD continue to evolve and improve the x86 platforms, including new low-power systems, and advance new designs such as the recently announced 2nd Generation Intel® Core™ processor family and AMD’s Fusion accelerated processing units (APUs). NVIDIA, Qualcomm and Texas Instruments are joining Microsoft to provide ARM-based designs for the first time. “With today’s announcement, we’re showing the flexibility and resiliency of Windows through the power of software and a commitment to world-class engineering. We continue to evolve Windows to deliver the functionality customers demand across the widest variety of hardware platforms and form factors,” said Steven Sinofsky, president of the Windows and Windows Live Division at Microsoft. Unfortunately though, all attendees at the press conference were strictly prohibited from taking cameras inside, therefore no video demos were tapped. Also, according to Mary Jo Foley, the new user interface of Windows 8 was not shown.